Set in a future Australia, a time when there are no bees and children are employed to scramble through the fruit trees with feather wands. Peony wants to be a bee, a hand pollinator: she's a year too young and when you're only 9, it's hard to get everyone around you to go along w... read full description below. Set in a future Australia in a time when there are no bees and children are employed to scramble through the fruit trees with feather wands, much like the pear farmers of Hanyuan in China are forced to do today. Peony wants to be a bee, a hand pollinator: she's light, she's fast, and even though she's a year too young, she's going to be the best bee the farm has ever seen...except when you're only 9, it's hard to get everyone around you to go along with your plan. A beautiful and fierce novel for middle grade readers, 'How to Bee' explores an all-too-possible dystopian social landscape with an intensely compelling and original voice. Bren MacDibble was raised on farms all over New Zealand, so is an expert about being a kid on the land. She now lives in Melbourne with her family and a cheeky dog, works with gifted children, and teaches writing in further education. She particularly loves science fiction. 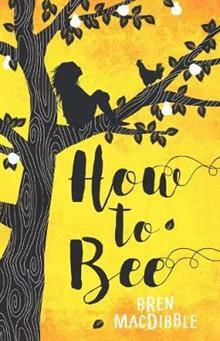 'How to Bee' is Bren's first children's novel to be available in the UK.